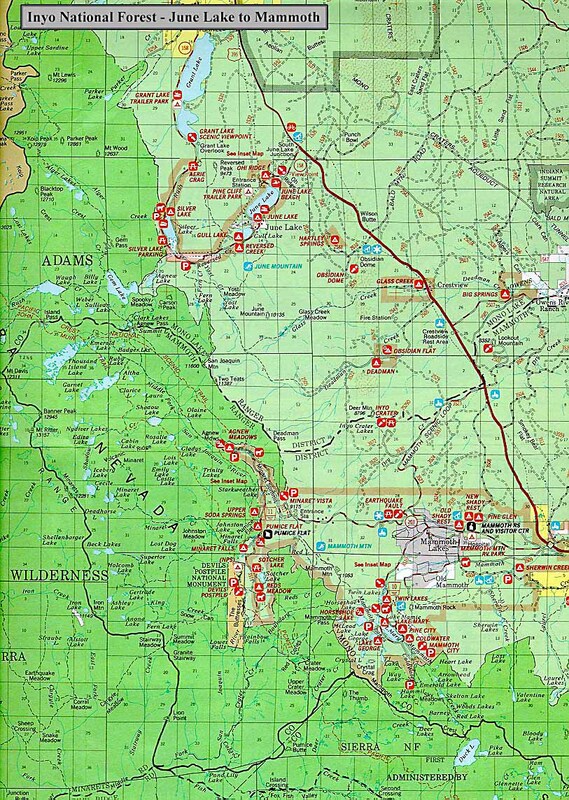 The Forest Service map shows the proximity of June Lakes and Mammoth. 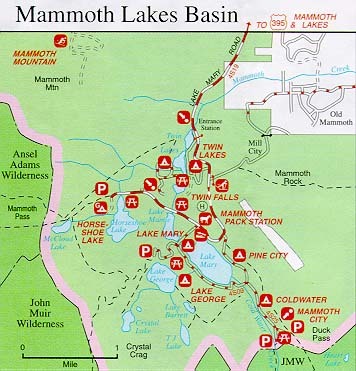 Mammoth is famous for its Lakes Basin consisting of Lake Mary, George, Mamie, Horseshoe and Twin Falls. the June Lake basin has Grant Lake, Silver Lake, Gull Lake and June Lake which also has a very swim able beach.